Remodeling has become the need of this modern world as the world is running at a speed where no one can catch it. Technology helps us stay connected with what is happening around the world. Each day when you wake up, you get to hear something new. Same is the case with remodeling. When you're after the latest trends, your remodeling bills increase rapidly. One way to modernize your home within budget is to consider home interior painting through professionals. Yes, finding them is difficult, but we can help you! In the industry, where there are abundant options to find reliable professionals, you cannot trust the skills of every individual you meet. Also, not all the professionals can provide the effective results they might have promised before signing the contract. Here are three main sources where you can find the best one for you. You are the luckiest if you have trustworthy and sincere friends in your social circle. Ask them for the recommendations. Their input can save you from exploring each of the websites and evaluating the services. You may need to ask a few people before finalizing the painting job. The more recommendations you can get, the bettere the chances you find the most suitable professional. Search engines prove to be a great help when it comes to hunting reputable services. In the modern world of the internet, you cannot hide anything. Google knows it all. So, begin your search by typing “Reliable local painters,” and a long list of professionals will be there. These search engines usually provide you with a list of professional painters based on the internet ranking. You can choose the top three companies and explore those companies thoroughly. Extract the valuable points from each of the company so that you can compare the services and find the one to meet your painting needs. You may interview with each of the individual to know the skills of the experts. 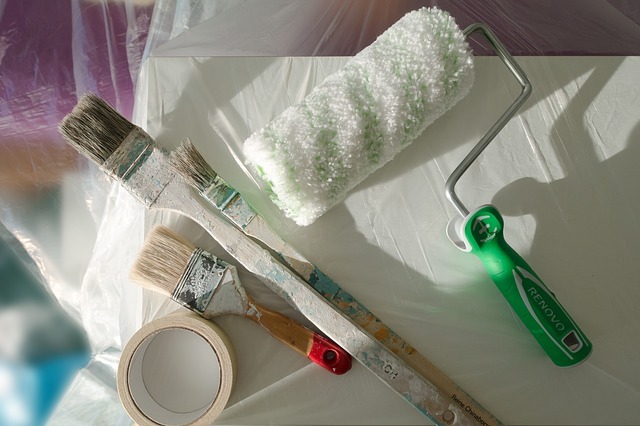 Be very clear what you need from the interior painter before you hire them. If you are not sure what your reading is valuable and true, look for the reviews. Each company offering interior painting has earned a reputation in the industry should have received reviews from valuable clients. The online reviews reflect the true picture of how the experts have been working in the past. You may also find additional information from the review sites about services offered. We hope these ideas will be helpful in finding you the best services that will make your spending worthy.